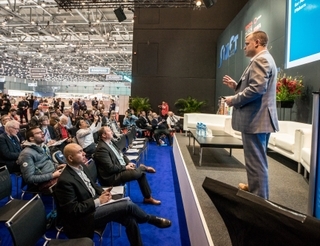 From AI-powered virtual assistants, smart TVs, toothbrushes, and refrigerators to advancements in 5G connectivity, ride-sharing services and self-driving cars, the products and solutions announced in Las Vegas at the Consumer Electronics Show (CES) this year may seem like a hodge-podge of innovation at first glance. At CES, it was clear that companies are focusing on technologies that will improve the safety of its users and those around them. As one example, consider HARMAN’s enhanced suite of advanced driver assistance systems (ADAS) that help drivers keep their attention on the road. Including surround-view sensor intelligence, a cabin monitoring system, and LiDAR technologies, this comprehensive platform is ushering in a new era of connectivity-powered vehicle safety. Cybersecurity also remains top of mind, as today’s connected vehicles continue to integrate advanced third-party solutions while becoming increasingly more complex from a technological standpoint. To help ensure the security of today’s connected car solutions, HARMAN expanded our Remote Vehicle Updating Service, our Over-the-Air (OTA) update offering, to provide automakers with insight into potential vulnerabilities of individual vehicular components. Connective technology was front and center at CES 2019, evidenced by the several companies displaying products and solutions that heralded the impending arrival of 5G-level connectivity. 5G has the potential to revolutionize the in-vehicle environment, and our driving experiences as a whole with its capability to reduce latency and data-transfer times to near-zero. 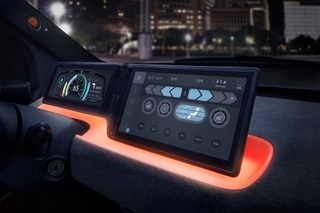 While there may still be some time before 5G connectivity is fully realized, there are already connected solutions on the market today capable of helping automakers and consumers create better experiences. With HARMAN Ignite 3.0, the same smart features we rely on in other areas of our lives – like personal virtual assistants – are now available directly in our vehicles. With connected navigation systems and a vehicle-centric marketplace with all your favorite apps, we’re making all of your driving experiences smarter and more personalized. But we’re not just transforming your automotive experience – With HARMAN Personi-Fi, listeners can tailor their listening experiences to perfectly match their preferences, on any device and in every environment. The innovations don’t stop at the end of automotive arena, either. 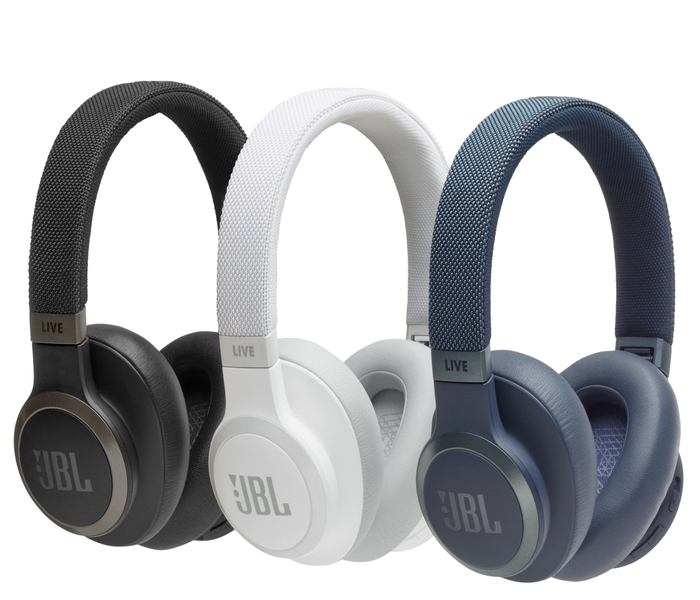 Our newly announced JBL LIVE headphone series are designed to work with the Google Assistant and Amazon Alexa so you can queue up a playlist of your favorite songs, check the weather forecast, and search for directions, all without disrupting your listening experience or slowing you down if you’re on-the-go. For the past several years, we’ve been adapting to new technology as it continued to proliferate our lifestyles and alter how we travel, work, converse, and even sleep. But now – whether it’s a car specially equipped to detect your musical preferences as soon as you enter, headphones that seamlessly blend premium sound with smart features, or a speaker that delivers information and entertainment in a smarter way than ever before – technology that adapts to our needs is firmly taking hold. Technology has always promised to make our lives easier. Sometimes though, additional connectivity simply adds to our to-do lists. Take that call from the car? No problem – usually. But, too often, our conversations are muddied by poor connection, outside noise, or other extenuating factors. 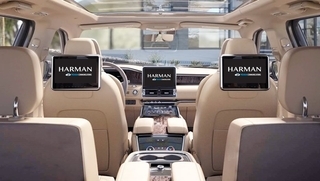 To address these challenges, HARMAN developed our Premium Communications platform, a configuration of sophisticated microphone, voice processing and noise-cancelling technologies that enable clear, frustration-free conversations for drivers and passengers alike. Conference calls and busy schedules may not being going anywhere. But finally, tech that adapts to your preferences and daily needs is on its way.